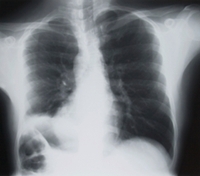 The health effects of asbestos can be devastating for individuals and their loved ones. Asbestos—widely used in the military, construction, automotive and many other industries—is known to cause serious diseases such as asbestosis and asbestos mesothelioma. Often the health effects of asbestos don't manifest for years or even decades following a victim's asbestos exposure. When these adverse health effects of asbestos do become evident, asbestos disease is often aggressive and even fatal. We are dedicated to helping patients and their families understand the health effects of asbestos and how to manage asbestos disease (including asbestos mesothelioma). We seek to provide our visitors with resources and information that will help them make important decisions and assist them in getting the financial, medical, and emotional support they need, as well as a means to seeking asbestos legal help. Washington, DC: The U.S. Environmental Protection Agency (EPA) has enacted a new rule to purportedly strengthen oversight on asbestos: it will review applications for using asbestos in consumer products. But the agency’s critics and consumer groups argue that this rule makes it easier for asbestos to be used in consumer products, from construction materials to plastic bags. Los Angeles, CA: A California jury recently awarded Alfred Mata and his wife $11.4 million in an asbestos lawsuit against Liberty Utilities (Park Water) Corp. Alfred developed mesothelioma from his father, who worked with water pipes that contained asbestos and brought the fibers home on his clothes. New Brunswick, NJ: Jurors at an asbestos lawsuit currently underway in New Jersey have heard that an expert witness for the plaintiff may not have considered all statistical and reported evidence in his analysis which led him to believe that talcum powder manufactured by co-defendant Johnson & Johnson (J&J) does currently, or did at one time contain asbestos. Read more asbestos news and settlements.